Colligating the Chinese kungfu with the western boxing, Bruce Lee, the famous international movie star and wushu master, created JEET KUNE DO, which was popularized all over the world by the Hong Kong kungfu movies. It made great influence so that Chinese kungfu is so commended. 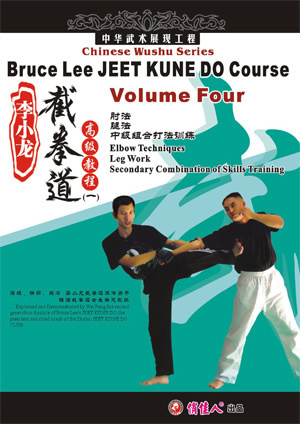 Wei Feng, the drillmaster of the special troop of the Peoples Liberation Army of China, learnt JEET KUNE DO from Huang Jin-ming, who was handed from Bruce Lee directly. With what he has learnt, he published books of "The Unique Skill of Bruce Lee's Leg Work", "The Entire Series of Bruce Lee", "Authoritative JEET KUNE DO", "Mortal Biff Combat Training of the Special Army", and so on.